We are most interested in the cellular and synaptic mechanisms underlying the neuronal network operation in the cortical areas. Our main goal is to uncover the principles of information processing in cortical microcircuits at cellular and network levels. 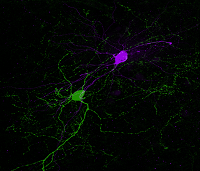 To this end, we examine the features of the connections among neurons using neuroanatomy, electrophysiology, imaging techniques and optogenetic approaches. To reveal the rules of connectivity among distinct types of cortical neurons both at structural and functional levels. To uncover the synaptic mechanisms underlying the generation and propagation of oscillatory activities in cortical networks. 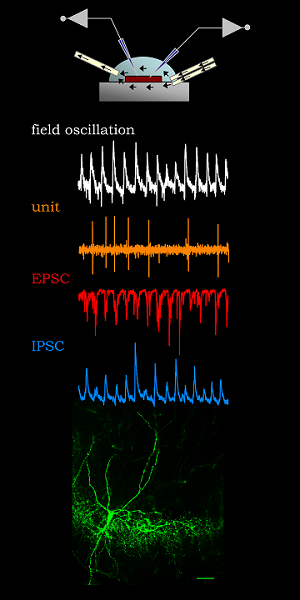 To elucidate the mechanisms of the control of synaptic communication among neurons. 30 mySQL queries in 0.756 seconds.